CHAMBERSBURG, Penn. – An itch you can’t quite scratch. A hard-to-reach fishing hotspot. That distant watery nook where scary big catfish lie in wait. A small stick well off shore, flagging a fish-holding brushpile below. The boiling depths beneath an imposing dam where it’s said catfish larger than a man terrorize scuba divers as well as any fish in the neighborhood . . . if only your cast could reach that far. For anglers everywhere, such inaccessible catfish present two ticklish problems: (1) How to reach these forbidden spots with a single cast from the beach? (2) Once hooked, how does a shore-bound angler attempt to, you know, actually land one of these beasts? To scratch this particularly insidious itch, Rippin Lips unveils the SuperCat Long Range Series, two new extended-length spinning rods engineered expressly for launching missile casts and driving spikes into the jaws of big fish from afar. 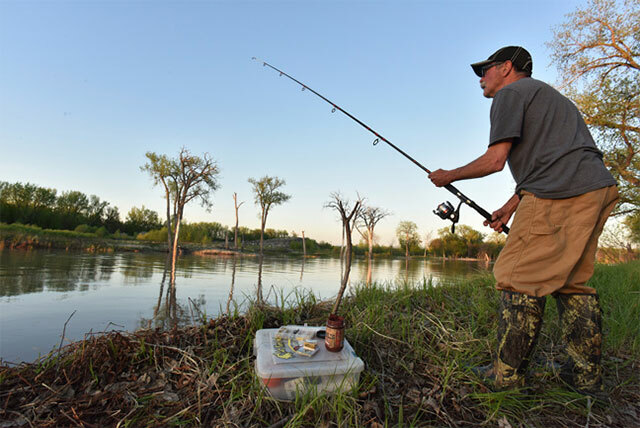 Designed and tested by legendary Rippin Lips catman John Jamison, new SuperCat Long Range rods include a 10- and a 12-foot medium-heavy action spinning rod catering to folks who prefer a forked stick and a lawn chair to the confines of a jonboat. Possessing long-cast leverage and power in equal abundance, SuperCat Long Range rods employ select S-glass banks—a lighter, more advanced fiberglass that’s also stronger and stiffer than its E-glass counterpart. Likewise, S-glass offers nearly twice the modulus of E-glass, resulting in the optimal blend of blank strength, smoothness and sensitivity. Jamison says that for fishing slow current and cats up to about 50 pounds, the 10-foot medium-heavy action (RL10MH-2S) model is perfect. 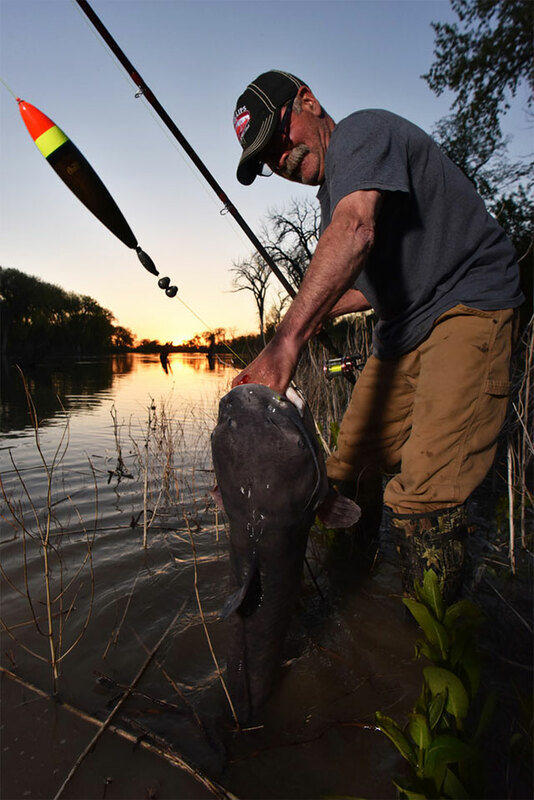 To further extend casting and hook-setting distance, the medium-heavy 12-footer (RL12MH-2S) performs like a catfish catapult. Available in a total of eight lengths and actions, for everything for small stream channel cats to big water blues and flatheads, all SuperCat Rods offer competitive pricetags ($35.99 to $84.99) and are ready to get bloodied in battle—just as their striking crimson blanks suggest. 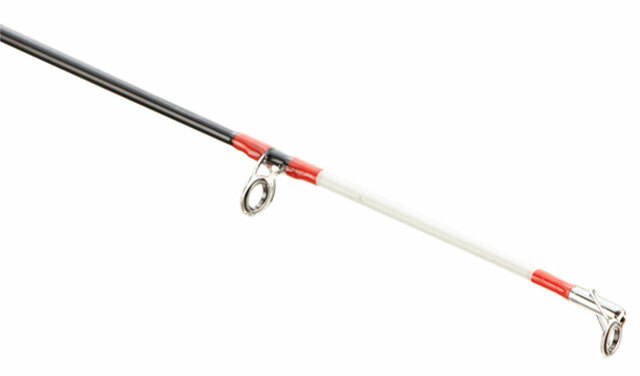 All rods also come with complete one-year manufacturer’s warranties.